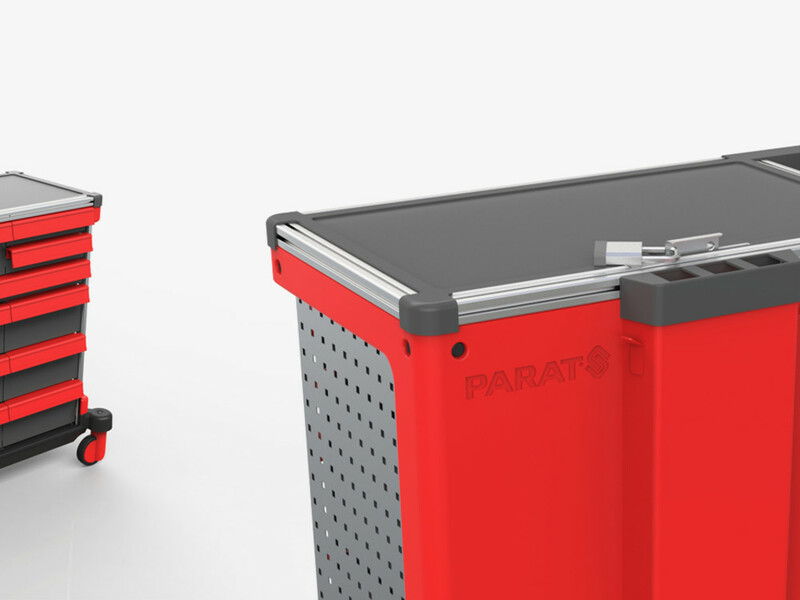 We developed this modular workshop trolley for our client Parat in Remscheid, Germany. 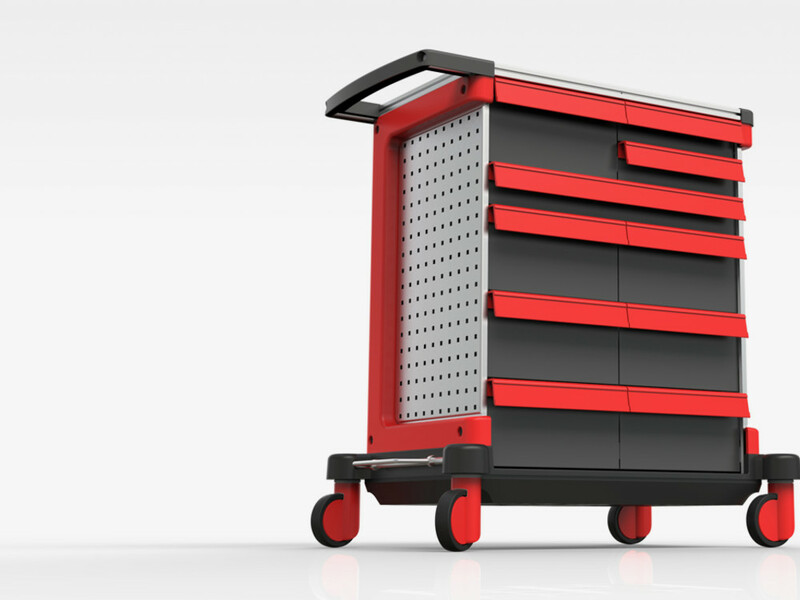 Our conceptual approach to this project was to realise client-specific manufacturing during production. The resulting competitive and functional advantage was a main aspect to successfully standing out against presumably cheaper products in a highly competitive market. 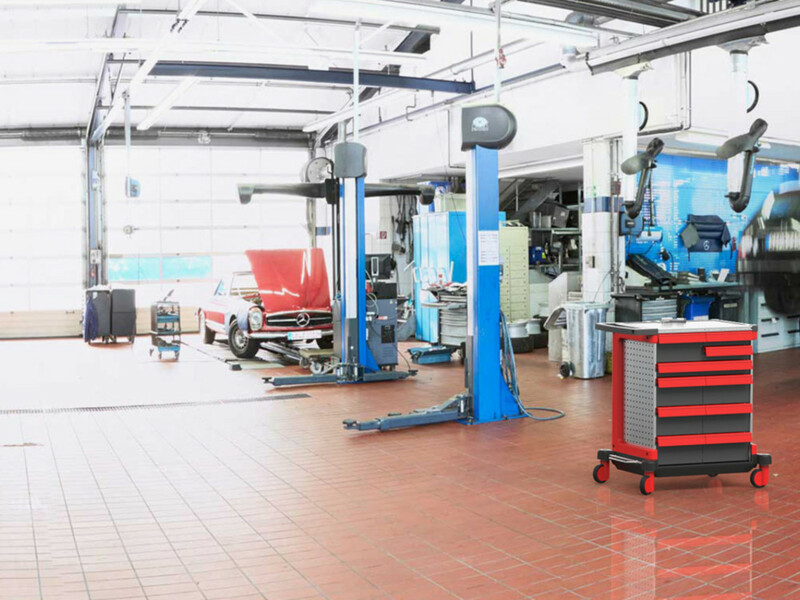 The layout especially followed current production processes of our client in order for him to optimise capacity.